This morning before Hudson went looking for his basket that the Easter Bunny hid he asked if he could wear "Woggles" (googles) "they will help me see better and find my basket"! I have no idea why he kept calling them that but it was pretty funny. Hudson first helped Remy find his. The Easter Bunny hid it in the dryer, pretty clever the bunny must know that Remy loves to help Mom put clothes in the dryer and loves to climb in there to! Hudson then found his all by himself, it was behind the curtian! The boys got some matching monster truck jamies! Hudson was so excited to see that he also got so gum, and of course a way yummy candy egg from Grandma Great! My cute boys! I love them both so much! They are my joy! I don't know if you can really see but Remy has a nice fat lip! He fell this morning while pushing his truck around and his tooth went right threw his lip! Poor boy, he is also working on three molars (teeth, don't know if I spelled that right) , he also has a runny nose and a cough! My Ham, Loves the camera, completely opposite of his big bro! I love this one! Remy is making a face like , umm mom a little help? Jo- what a cute idea to hide the easter baskets- my parents never did that! I will have to remember that for the day I finally have kids! :) Congrats on the advancement in rank and running the (10K?)! You are rockin' girl, I'm happy for you! As far as me moving back to Florida... it will be sometime after May 2010. You know the military, they aren't exact on anything! :) Anyway, I love your page- I found the same site earlier and picked the same page! lol! Guess we have similar taste! 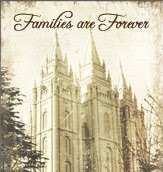 Will you still be coming to Utah this summer, or with your parents going on the mission will you stay in PR? Love your boys! You got some great pictures. You are such a fun mom. Easter egg roll, hunt and baskets. Wow! Your boys are so cute and getting so big! Little Remy seems like he is full of personality. Can't wait to see you guys soon. I can't believe all the stuff your family has going on the next couple of months, they are so amazing, I'm sad to have them leave, but I'm excited for them too, they will be so awesome! I can't believe how big Remy is getting!! Hudson and him look so much alike. You'll like Corpus Christi. Chris and I are up by Dallas so we're like 4 1/2 hours from there. But Texas is the best!! And housing is very reasonable. I love the monster truck jammies! It's so fun to dress boys alike! That is so funny that Hudson wanted to wear his goggles, what a silly boy! Remy is so cute for the camera, at least you have one who will pose for you!